Destroy All Robots Month Continues! What a better way to end Destory All Monsters month than with the ultimate robot of evil Metallo. Now yes Metallo isn't a total robot but a cyborg but he is one of the most formidable part robot villains ever so he gets a pass for this edition. In this reboot of Superman John Byrne brings a new tale of Superman with a revised history of the Man Of Steel and more as he battles the evil Metallo. 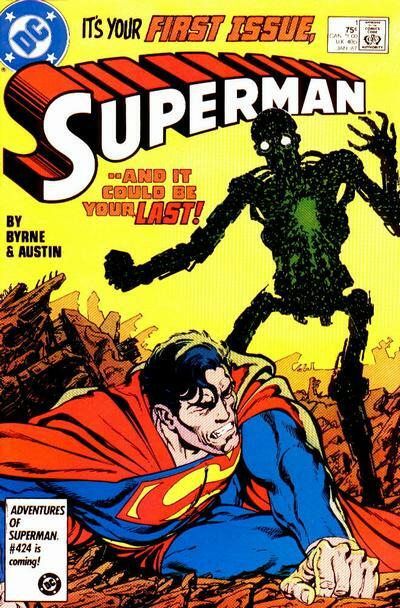 Full of twists and turns and an amazing Byrne cover this is truly a robot that Superman must destory!